For the second time this month, police have confiscated an illegal handgun while enforcing the city’s park curfew ordinance along Recreation Drive in Lakeview East. Officers reported seeing 19-year-old Fabian Cazares sitting in a vehicle in the 3700 block of Recreation drive early yesterday morning. A records check revealed that he had a warrant out for his arrest, police said today. And a search of Cazares’ vehicle turned up a loaded revolver with six live rounds of ammunition, according to authorities. 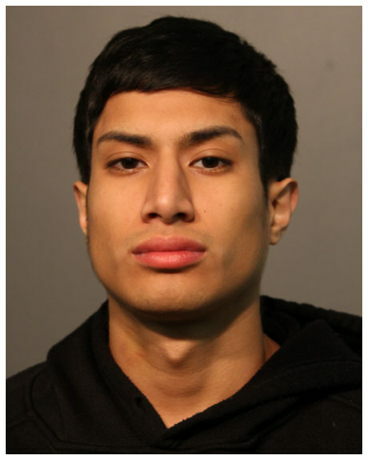 Cazares, of the Brighton Park neighborhood, is charged with felony aggravated unlawful use of a weapon in a vehicle, misdemeanor possession of ammunition without a firearms owner ID card, and violating the park curfew. He is being held without bail on the warrant. On November 7, 19-year-old Alberto Nunez ran from police who approached his vehicle in the 3700 block of Recreation Drive at 2:30 a.m. 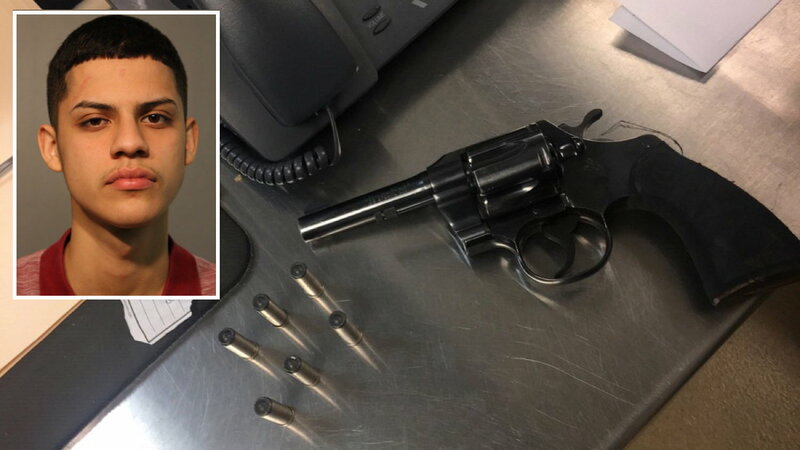 When cops caught up with Nunez in the 500 block of Addison, they found a loaded 9-millimeter Ruger with a defaced serial number in his possession, prosecutors said. Nunez was charged with felony aggravated unlawful use of a weapon in a vehicle; felony possession of a firearm with a defaced serial number; misdemeanor possession of ammunition without a firearm owner ID card; misdemeanor reckless conduct; and being on Chicago Park District property after hours. Town Hall District officers have been directed to pay special attention to Recreation Drive since the arrival of Commander Marc Buslik last November. The Rec Drive area, long an after-hours hangout for gangs, became increasingly violent in recent years. Golfers on the nearby Sydney Marovitz Golf Course were left stunned this summer when a shootout erupted between rival gangs shortly after 8 a.m. on July 23. A 19-year-old man was shot in the leg near Rec Drive’s adjacent tennis courts in June 2016. An errant bullet from that incident flew into the 35th-floor apartment of an 86-year-old man on Lake Shore Drive. Another shooting in July of last year left a 23-year-old man injured near the landmark clock tower next to the golf course. All of the shootings were connected to predominantly Hispanic gangs. In April 2016, a Chicago police officer who was handling a routine matter in the 3600 block of North Recreation Drive saw shots being fired on Lake Shore Drive—and two of the gunshots could be heard on the officer’s emergency radio transmission.